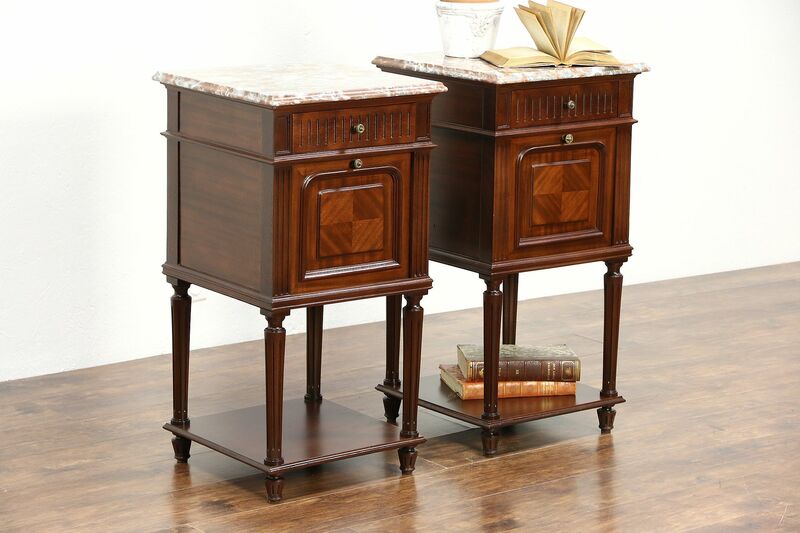 A pair of mahogany nightstands from about 1910 were hand crafted in France and have attached marble tops. The marble has been polished and sealed to resist stains, one has a restoration see photos. Drawers have solid oak sides with hand cut dovetail joints, one brass knob is slightly different. Drop front doors have raised panels and delicate legs are reeded on this European antique furniture. Size is 17 1/2" square and 33" tall.